Manufacturing is experiencing a customer-focused revolution. As a result, how manufacturers sell, and what they need to do so successfully, is transforming. Manufacturers are working to build a closer, seamless, and collaborative relationship with customers. Demand for real-time sales information has never been higher. If this transformation is going to happen, actionable insights and data for decision-making is necessary. Unfortunately, most companies are too disconnected to keep up. 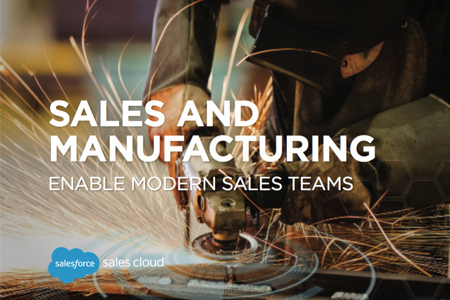 This e-book examines the challenges today’s manufacturers face and explores the technology manufacturers should adopt in order to differentiate themselves and keep their front-line sales teams competitive in this new landscape. Download this free e-book today to learn how you can turn your company into a truly customer-centric and connected manufacturing enterprise.